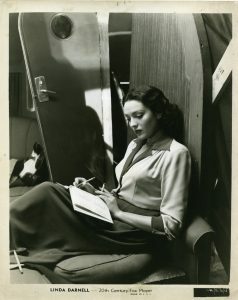 Actress Linda Darnell and Yun Gee became friends in the 1940s. 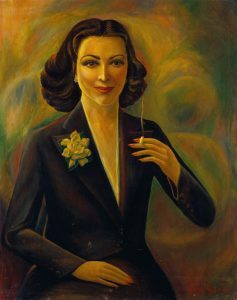 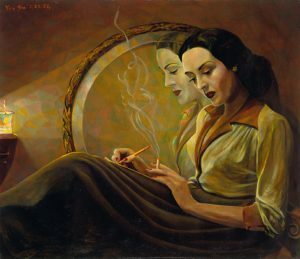 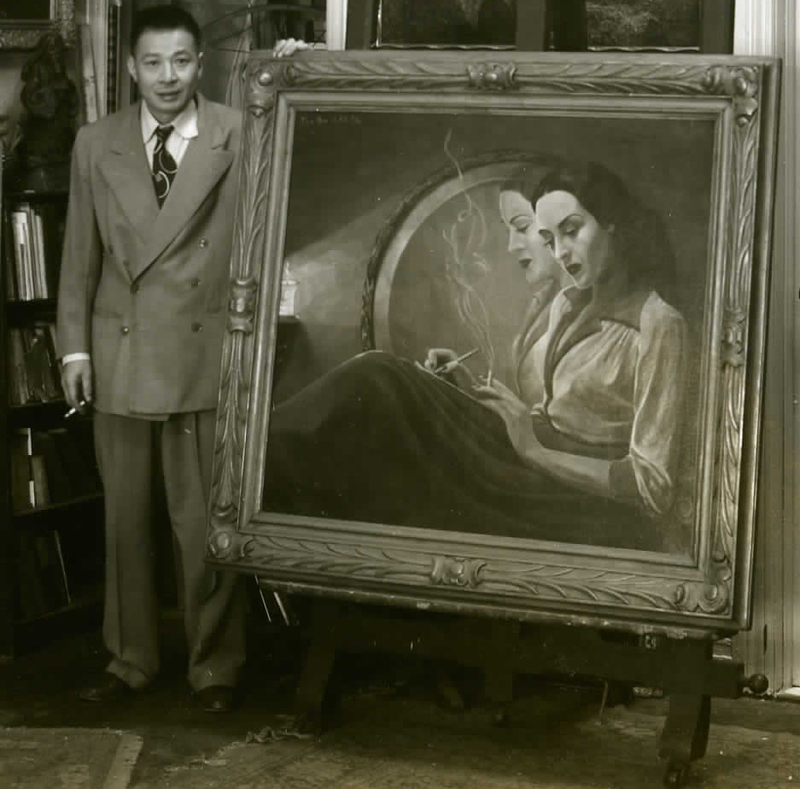 Yun Gee used Ms. Darnell as the subject of two portraits in the early 1950s. 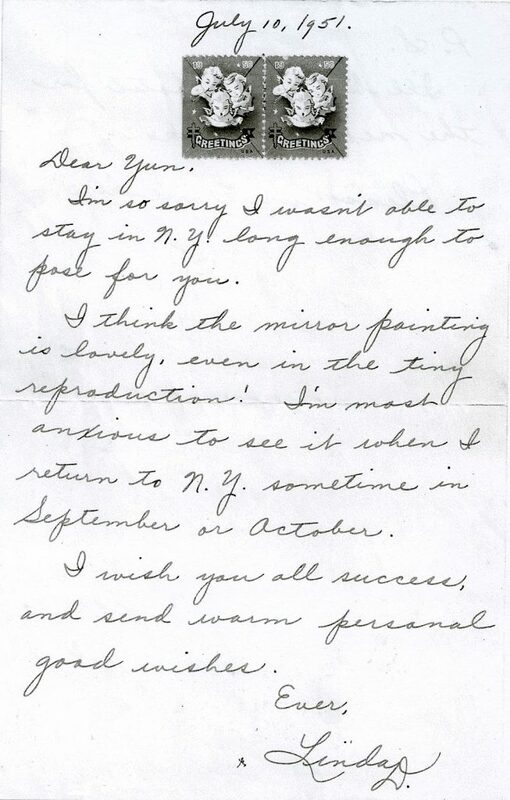 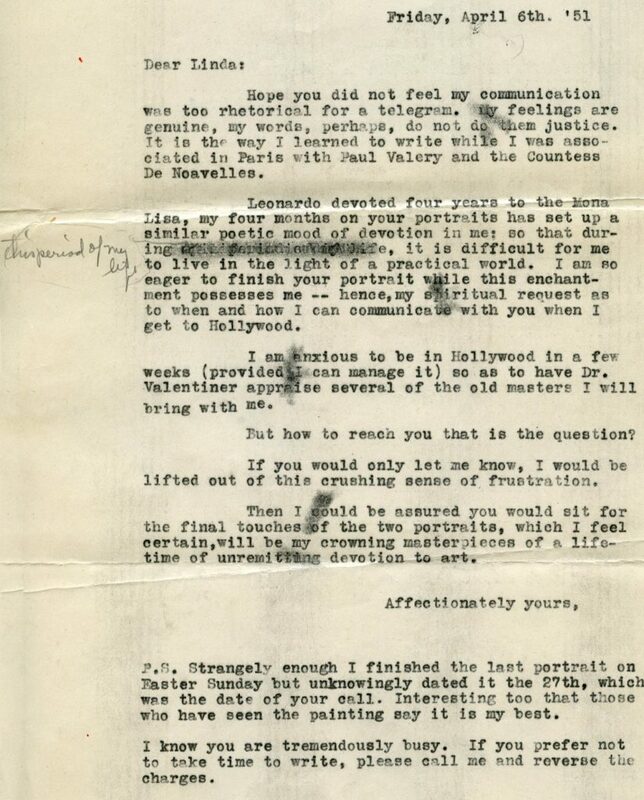 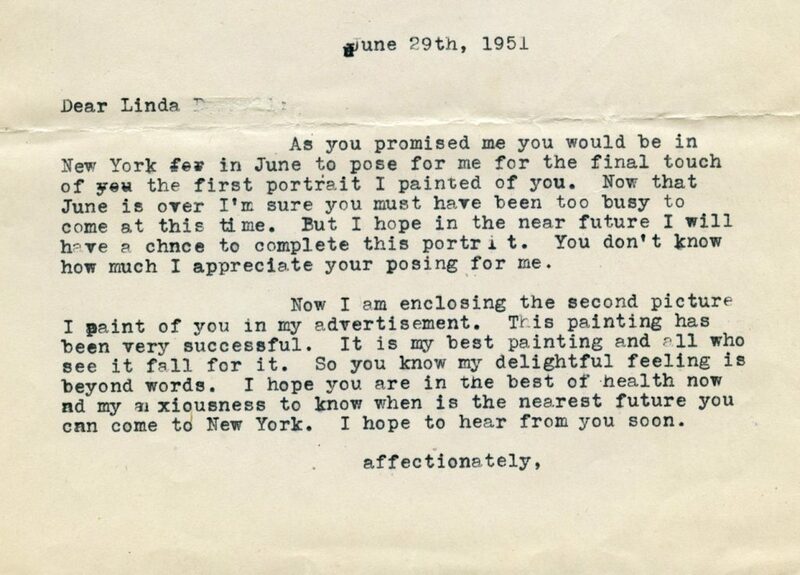 They communicated via letters and would meet whenever Linda would be in New York City.